Spain has a long and colourful history with many outsiders keen to conquer the land for its rich minerals and foods. To this day, the country continues to attract millions of outsiders who are still keen to sample Spain's foods, wines and culture. Spain's diverse landscape have provided untold riches throughout the ages, such as minerals, ores and food, which made it attractive to invaders from far and wide. First the Phoenicians took over in 1100BC followed by the Greeks and Carthaginians. 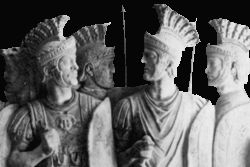 The Celts and Romans were the next to muscle in. The Moors took control in 711 and their influence is evident in the region as they introduced irrigation as well as planted the orange and almond orchards, which still play a major part in the local economy and diet. In the farming communities, you will notice the land is terraced, which is another legacy of the Moors. 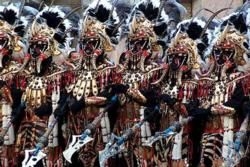 It was a few hundred years before the Christians were able to reclaim the land and the war between the Moors and Christians is reenacted every year in many Costa Blanca towns. After being invaded so many times, Spain decided it was time to get its own back. 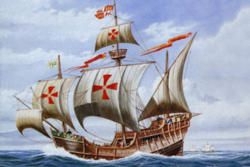 Under the guidance of the explorer Christopher Columbus, Spain ruled the waves in the 16th century and added various Central and Southern American countries to its impressive empire. Spain profited from gold, silver and new crops such as potatoes, tobacco and cocoa from its newly-conquered lands. 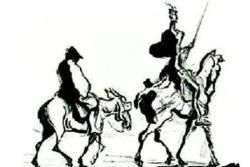 Spain cultivated its cultural side during the 17th century with great masterpieces being produced by artists such as El Greco and Velazquez as well as writers such as Cervantes who penned the charming Don Quixote. Time was running out for Spain as a super power by the 19th century. The Battle of Trafalgar may be a triumph as far as English history and Lord Nelson were concerned. However, it spelt the end of Spanish sea power with the defeat of the Franco-Spanish fleet. It could also explain why bowling has not taken off in Spain too! 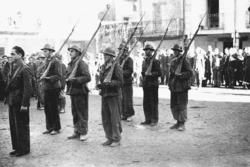 The Spanish Civil War 1936-39 divided the country with Alicante and Murcia remaing loyal to the Republicans. Nationalist leader General Francisco Franco took control of Spain in 1939 and it remained under his dictatorship until he died in 1975. This was a dark time for Spain with about half a million people being killed. Spain is now a young, thriving democracy. Forty years ago, the 17 regional governments were set up, which are similar to counties in England. They enjoy a lot of power although some would prefer to be entirely self-governing. Tourism has become a huge industry with millions visiting the country to enjoy its mountains, forests, cities and sleepy villages. The Costa Blanca is one of its most important holiday destinations and has been for more than 50 years. 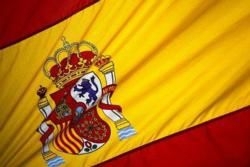 The Spanish flag with its vibrant yellow and red colours sums up the sunny nature of the country and its people. The flag can also be seen as a symbol of success, particularly in sports such as tennis, golf, sailing and, of course, football.